Jennifer is the founder and senior partner of YEO-LEONG & PEH, a law firm which she set up in 1987. She became the chairman when the firm became a limited liability law corporation on 1 April 2002. Her areas of practice include banking, corporate and corporate finance and real estate. In the course of her work, she has advised and represented public and private companies, banks and individuals from all walks of life in their acquisition, financing and disposal of commercial and residential buildings, lands and development projects, public listing, asset securitisation, various aspects of banking business and operations (including lending activities), joint ventures and acquisitions and corporate agreements. She serves as independent director in a company listed on the Main Board of the Singapore Stock Exchange. 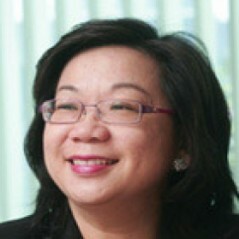 Jennifer is an Advocate & Solicitor of the Supreme Court of Singapore and was called to the Singapore Bar in 1982. She is also a Solicitor of England and Wales and was admitted in 1999. She is appointed to the panel of Chairman, Disciplinary Committee by the Chief Justice under the Legal Profession Act, Singapore. She is an approved mediator of the Singapore Mediation Center and is on the reserve list of Arbitrators, Singapore International Arbitration Center. She is a fellow of the Singapore Institute of Arbitrators and the Chartered Institute of Arbitrators. Jennifer serves as a member of the Board of Governors, Raffles Girls’ Secondary School and chairs the schools’ Redevelopment Committee. She is founder and director of VIVA Foundation for Children with Cancer (www.viva.sg). She also chairs the Urban Land Institute South Asia Council, a non-profit organisation based in Washington DC (www.uli.org). She is literate in English and Malay and speaks some Mandarin and Chinese dialect.